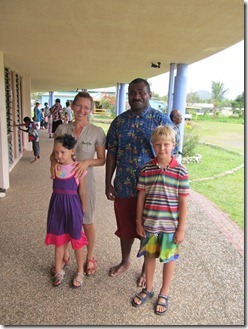 A few thousand years of human life in Fiji has left some interesting customs practised un the til today. 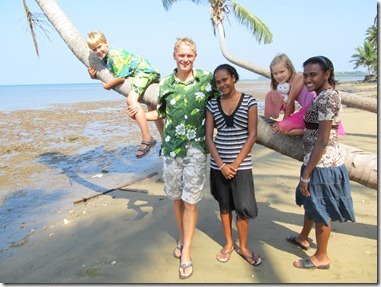 One of them, celebrated particularly among men, is having a local drink called kava. Fijian kava is slightly intoxicating and definitely muddy tasting. It is drunk quite regularly in a ceremonial way. After pounding the root of the plant under the same name (the plant comes from the pepper family), grog, as it is also called, is put into a bundle of cloth and soaked in water several times to extract the juices. Once the liquid is muddy and strong enough it is served in a large bowl to people sitting around it. Before each serving the kava is stirred. You drink it from a bowl made of coconut always empyting it to the last drop. After returning the bowl to the master of ceremony they, after stirring serve kava to the next person. 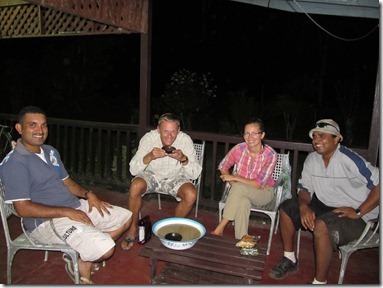 Before drinking kava one is supposed to clap once clasping the hands. After a few rounds you start to feel dizzy so that you completely forget about the muddiness of the drink. 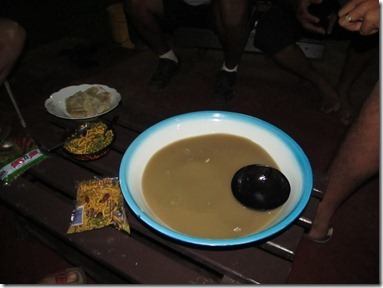 Kava drinking creates state of joy and ease. 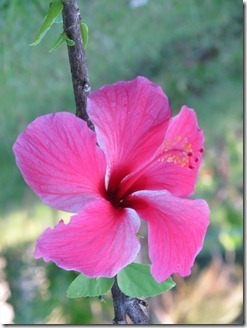 It is also meant to reduce propensity to agression or and anger. 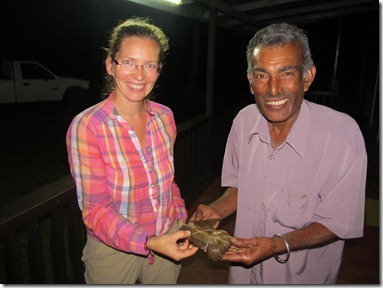 Our neighbors have kava every Thrusday and we join them for that ceremony. 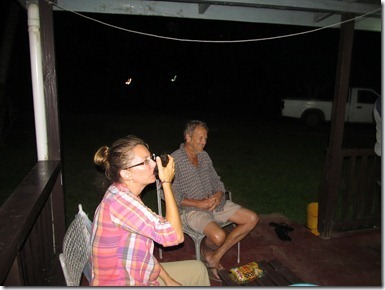 Besides, kava drinking often preceeds important events. A less frequent culinary rite is preparation of so called lovo. It is a very laborios way of cooking in an earth oven, aka as lovo. After digging a pit and laying out pieces of fire wood in it you cover it with stones. Then you start the fire and wait until the stones get red hot. Once the stones are ready they are left in the pit as the key source of heat for cooking all kids of foods wrapped in leaves (banana, breadfruit or dalo) and wrapped in aluminium foil. The food includes all kinds of meats with stuffing and other concotions known only to the chief cook. After spreading the wrapped food on the hot stones everything is covered with palm leaves, sacks and soil and left for 2-3 hours. After this complicated thermal processing everything is ready to eat. Since lovo is time-consuming it is made once for special occassions such as Christmas. *For full version of the above photo presentation refer to the Polish version of this post. 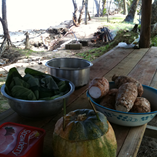 Fijian traditions are not limited to cuisine only. The local way of dressing, particularly by men, is very peculiar. 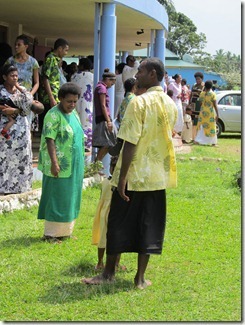 The Sundays best is a bula shirt worn along with … yes, a rolled skirt called sulu. 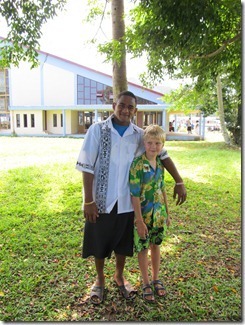 We loved this attire so much with little Wojtek that we can already call ourselves proud owners of bula shirts. Wojtus is also interested in getting a sulu . 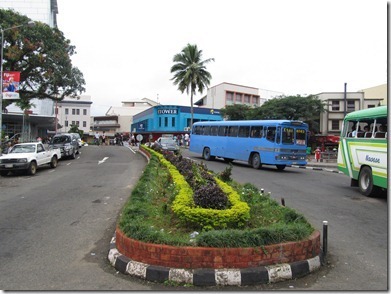 The local way of dressing is very colorful and full of floral elements with most prominent here, the flower of hibiscus. Ten wpis został opublikowany w kategorii English, Fiji i oznaczony tagami Cooltura, Trivia. Dodaj zakładkę do bezpośredniego odnośnika.